We’re back, and the government remains closed. There is no deal on border security. The Democrats are not budging, and neither is President Trump. It's a bit annoying that all of this is happening over a $5 billion partial wall project, but border security and curbing illegal immigration isn't a pet project. It’s a national security priority. Also, no one is shedding tears over government workers who aren’t working. Will Trump declare a national emergency to get the wall built? We shall find out soon. So far, he’s not leaning that way, which means a declaration could happen by the end of the week. Right now, the confirmation hearing for Attorney General nominee William Barr is underway. He’s qualified. He’s not controversial. There haven’t been any fireworks so far, and he’ll probably get confirmed. So far, Barr has said he respects Special Counsel Robert Mueller, that he would allow the Russia investigation to continue, and he wouldn’t fire Mueller unless there was cause. Democrats can breathe easy, but they’ll still make stupid points because…that’s what they do. On the local front, Virginia isn’t the only state trying to push insane anti-gun laws. Oregon is trying to require a permit to purchase, an assault weapons ban, banning firearms magazines capable of holding more than five rounds, and limit purchases on ammunition—roughly only 20 rounds per month. The Women’s March and the DNC have divorced. The former’s gross attachment to anti-Semitism is the reason. Over the past couple of months, it’s been quite clear that the Women’s March is anti-Israel and anti-Semitic trash. The Left is starting to eat their own. The Women’s March has an event in D.C. this weekend. 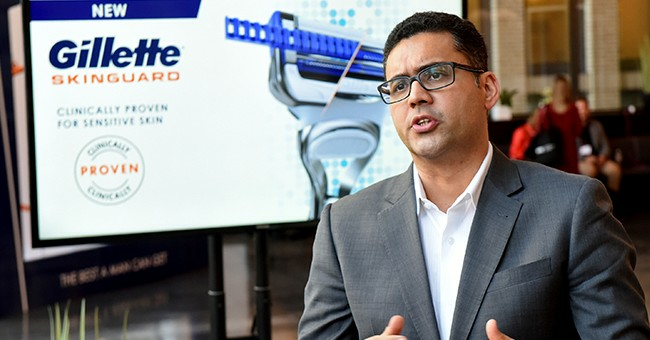 Gillette wants men to shave off their manhood. No, but it's taking a page out of the political correctness handbook by starting a crusade against phantom toxic masculinity, which doesn’t exist except in the minds of over-educated, soft progressives whose think talking about this trash makes them contenders for the Nobel Prize. Outside of college campuses, no one cares about this. It doesn’t exist. And no, I can be the best man I could be without this political correctness nonsense. Clemson enjoyed a fast food frenzy at the White House. The championship college football team enjoyed a McDonald’s, Wendy’s, and Burger King buffet paid for by Trump since the kitchen isn’t at full capacity. Liberals were outraged for some reason because Democratic presidents never ate burgers before or something. And spare us the health lectures, left-wingers. Michael Phelps ate 12,000 calories a day, and it wasn’t all from CAVA. It just shows the extent of Trump Derangement Syndrome.